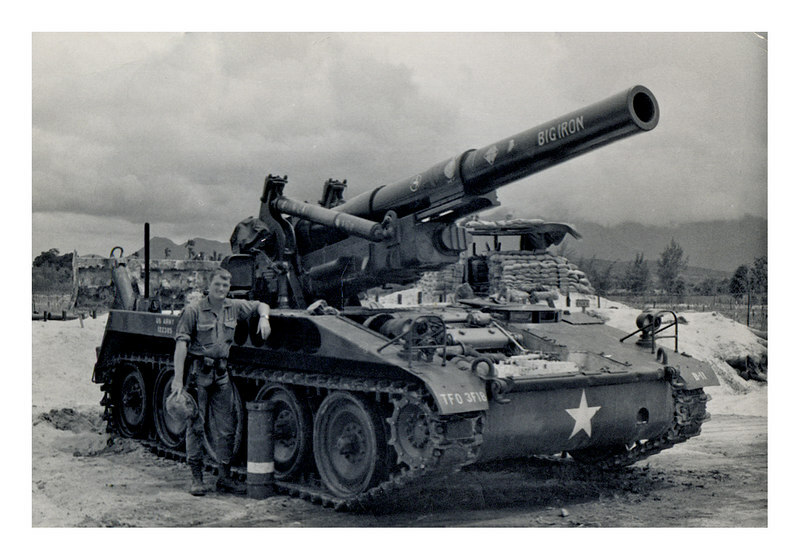 LCS-72: Larry Swank with one of the 8" Guns of Battery B, 3/18th Artillery at Fat City. Has a life long mid-range hearing loss form from all those big bangs. Or was that from all the rock-bands in the 60s ?